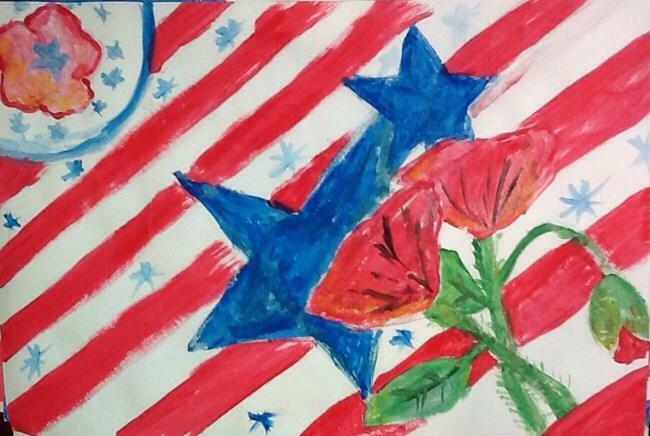 For my 5th graders, I usually do a Jasper Johns flag lesson around Veteran’s Day. This year I changed it up a little. We discussed the history of Veteran’s Day. 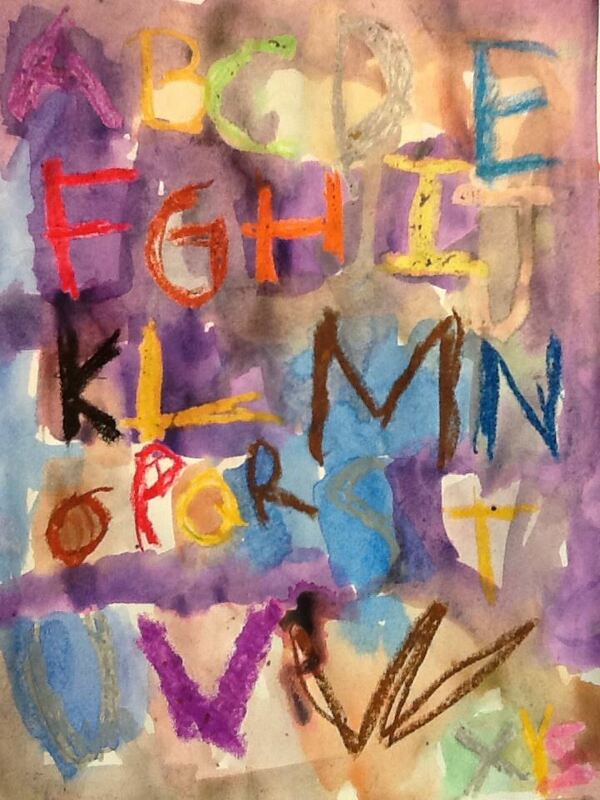 We looked at the work of Jasper Johns. 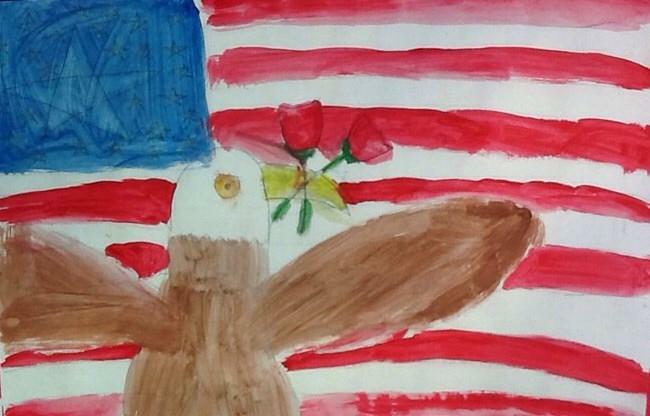 Then we discussed what kinds of images related to Remembrance Day and Veteran’s Day. 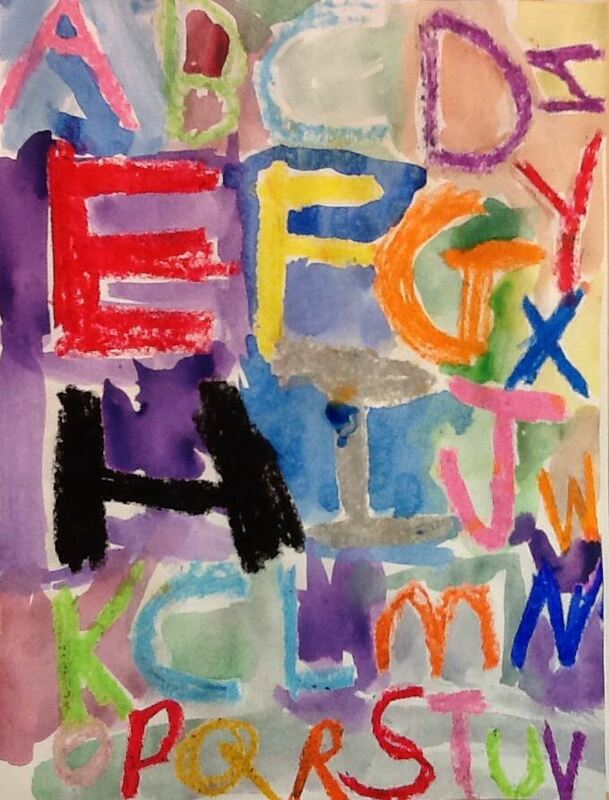 They created these images in tempera paint. 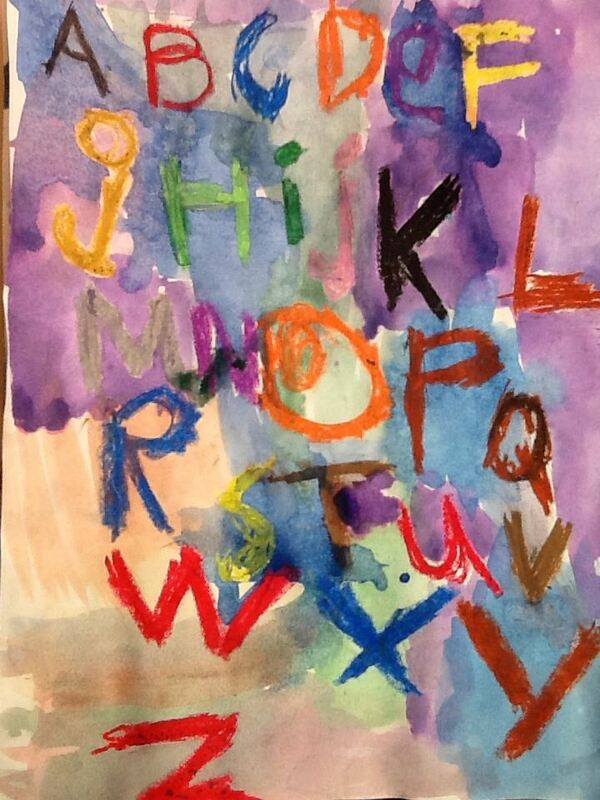 This lesson was super fun and done with my Transitional Kindergarten class. 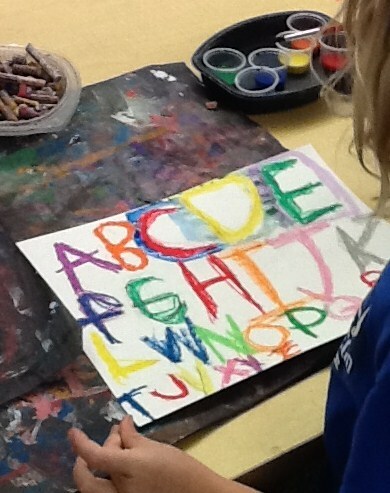 They followed along (or went ahead if they knew their alphabet) as we drew the letters of the alphabet in different colors of oil pastel. 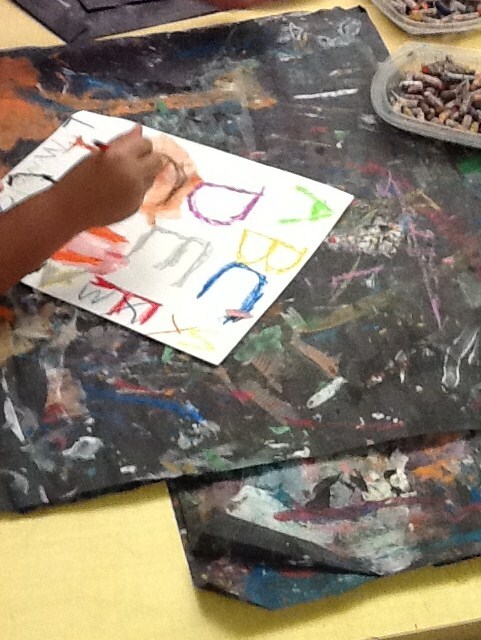 Once finished, they painted over their masterpieces with watercolor.